Ebuyer have the same price, don't know who reduced first. Nice drive, I have this in my ps4. Edit - thought this said firecuda. That's the one I have, I paid about this after top up discounts (top up 75 get 13 free etc). This is still supposed to be a decent drive but the 5 year warranty on the firecuda massively swung it for me. 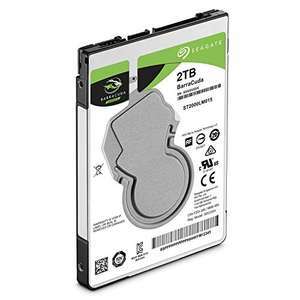 For some users it could be worth paying an extra £20 and getting the hybrid 2TB Firecuda SSHD instead. Same amount of storage but you should notice a nice little speed increase in your PS4 or laptop. For ps4 its only good of you play the same game alot so its stored on the 8gb ssd part of the drive.